Creating value for customers and a message that they will buy into certainly isn't an easy feat. This is true especially when competition in your market is increasing every day. 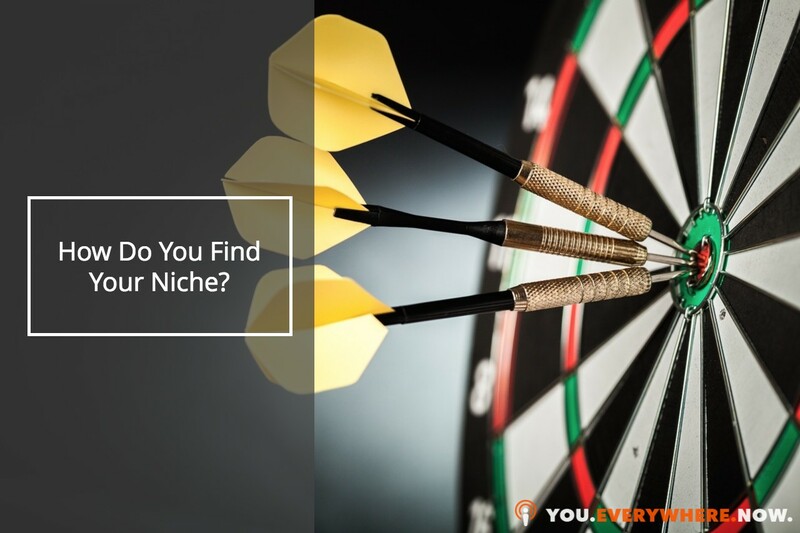 How do you find a niche? How do you find the niche that's both profitable and something you can be absolutely passionate about? Today I’m going to discuss how to find your niche, either for your business, or for your book. Become an expert, build credibility, and build your business. Learn exactly what writing a book can do for you here. You want to find something that's not only profitable, but something that has a large client base and something you are passionate about as well. I have two basic niche marketing strategies to figure this out, but before diving into them, here are some of my rules for creating your business. I think it's important that you don't enter into a market that doesn't have money. I can't tell you how many times people argue with me after I tell them that. Then, they go on to tell me about how the people in this niche are cheap, they don't listen, or they don't implement. My rule is this, don't work with broke or broken people. That's not a business, that's what a charity is for. Don't try to make your business a charity. Once you have an audience, a platform, and are financially successful, you can focus on delivering value and support for the broke and broken. Create a real business that your marketing content keeps working for you when you aren't. If the very thing that you're trying to create requires that you're part of it every step of the way, you don't have a business, what you have is a job, and most likely it's a low-paying job. First of all, I always recommend entering into a crowded market. They're always looking for another voice, especially one that they can relate to and connect with even more. There's a high probability that you can become friends with, and become associated with, the celebrities in your marketplace who will gladly lend you some of their recognition. It's very common. Everyone’s going through different cycles in their life. Something that you have to share, or your own personal core story, might be something that that audience really resonates with. When there's buzz in a market, you don't have to be responsible for creating it, versus if you're starting up in an area that is brand new. People who are interested in stuff and get obsessive with it are the ones you want in your space. Here's what I'm going to give you in terms of the key strategies on how to find your niche. This strategy is all about focusing on a business that you, ideally, already have some level of success with. Whatever you've been doing for a period of time, build on top of that. Definitely check out my book, Publish and Profit. There is a whole chapter on finding and identifying your perfect customer. Also take a look at the chapter called ‘Who Is Your Book For’ on page 55. You can get a copy of Publish and Profit for Free by clicking here and learn how to identify your perfect customer. Strategy #2 is to find something that you are passionate about and interested in. You want to find a topic that you are curious and passionate about, one that you're actively learning about already, and that you're inspired about the thought of creating a product or a service that revolves around that topic. In this particular model, what you're doing is actually becoming an expert right in front of your audience. You're transparent in your process, and you become a hero in your own transformational story as you grow and become an expert. This is also known as the Reporter Model. That means that you're going to actively seek out, and interview other experts in your field. You can read their books or attend conferences, which I think is the best way to do it. Go to TED Talks, or watch as many TED Talks as you can, and find successful people already in that space that you can model and document their systems and processes. One thing that happens for most people once they start getting successful at something is that they start learning less. They're focused on their business: building, maintaining and managing it. That is an opportunity for you to out engineer your competition and out innovate them as well. That's why being fresh blood can sometimes be a really good example. The other thing that you want to do is find someone who already has a business and build on top of that. If you can find someone who can use your particular help, experience, or expertise, you might be able to go in as an expert in that business and not even have to start from scratch. You'd be able to grow to fill in a particular segment, and you can start building an audience or implementing whatever it is that's unique about you. That's my advice for you in terms of how to find your niche. Look at your business from a long-term perspective and take a deep look at what your passions are. What's something that you can take on, and get involved with that might last 10 or even 25 years? Once you start building an organization, a business, and your content, the time goes by quickly. The more you know about it, and the more you think about your long-term outcome, the better the decisions you make are going to be. Writing a book is a great way to become an expert in your niche, and create an entire business. Click the button below to find out what writing a book can do for you, and your business. A 11x Best-Selling Author, "Marketer of the Year" winner, serial entrepreneur, filmmaker, international speaker, and patented inventor. His products simplified and automated marketing for over 49,000 small businesses, authors, experts, speakers, coaches and consultants in 121 countries.